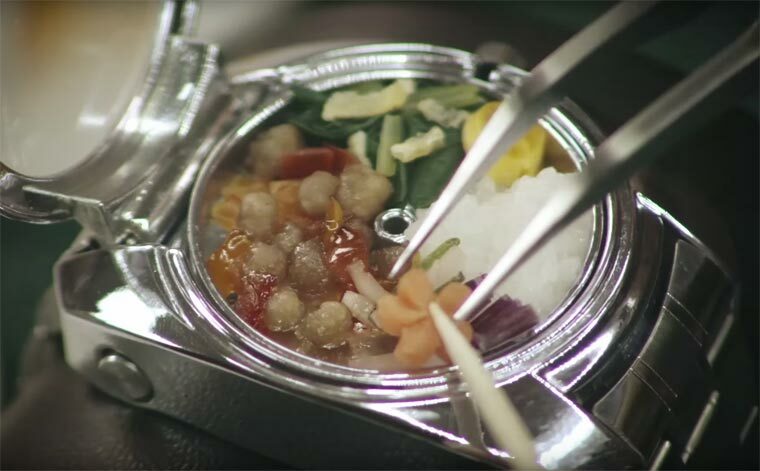 Edible Tech: The Bento Watch comes loaded with a diminutive chef-prepared meal, complete with microscopic vegetables chopped with precision by a plastic surgeon. 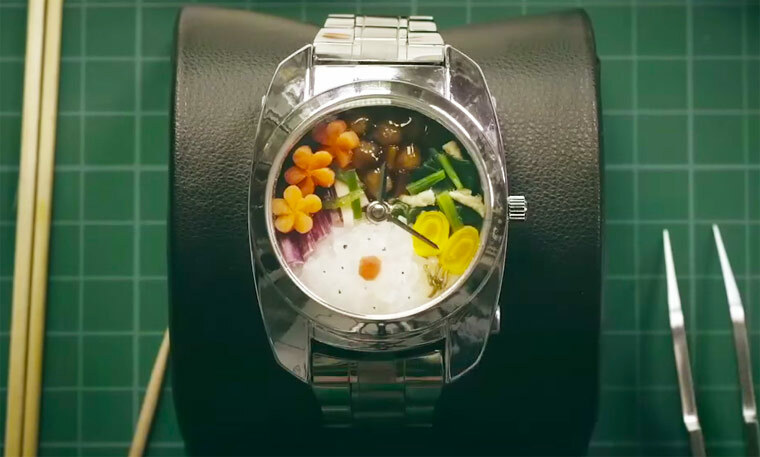 Forget the Apple Watch and other smartwatches, here is the Bento Watch. 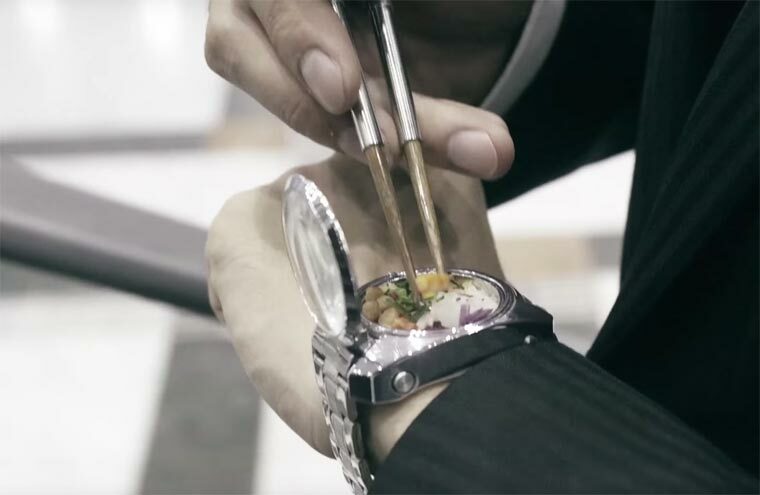 A japanese watch designed to carry your miniature meal, and which is even equipped with telescopic chopsticks! 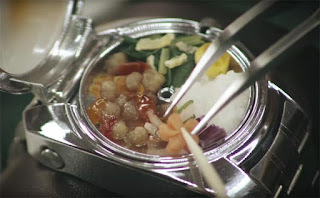 This Japanese gadget will never be produced, it is a publicity stunt for Takii Seeds, who asked a watchmaker, a great chef and a surgeon to work together to develop the Bento Watch and its miniature menu of sushi, rice, vegetables and meat.